A US company is offering people the chance to buy winemaking equipment they can install at home and produce their own wine with a computer programme. 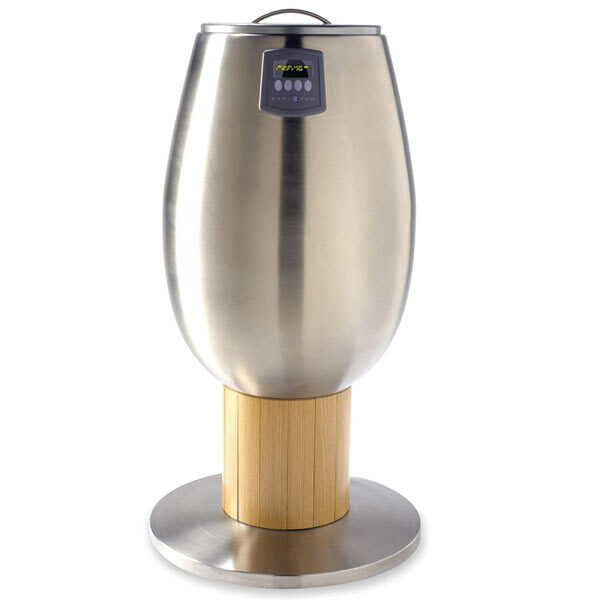 WinePod is a four-foot tall, 75 litre “all-in-one ferment/press/ageing tank”, which gives owners the chance to make four cases of wine per batch with the aid of their laptop and the makers say it is the first such system of its kind available to the public. The system is the brainchild of Greg Snell from California’s Silicon Valley who told the BBC that he thought there was a growing market for sophisticated, “do it yourself” winemaking.